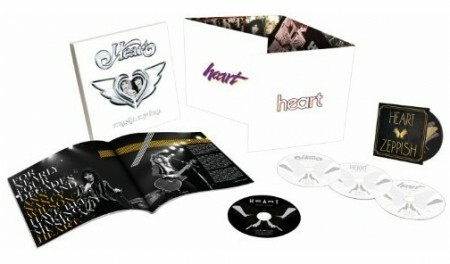 Heart has released their first ever career-spanning box set Strange Euphoria. It’s available exclusively on Amazon.com (They are getting huge, eh?). Strange Euphoria includes hits, deep cuts, demos, outtakes and rare live recordings; a CD of Led Zeppelin covers; a DVD featuring a 1976 TV performance; and a booklet offering song-by-song commentary from Ann and Nancy Wilson. In a new RollingStone.com interview, Ann Wilson discusses the box set, as well as some aspects of the band’s songs and history. She also addresses the upheaval in the group during the 1980s, a time she calls “suffocating” even though Heart was experiencing its greatest commercial success.